A close friend of mine who is pregnant recently asked me if there were any books or websites that I recommended checking out. I don't think she knew what she was getting herself into by asking me this... when I was pregnant with Jude, I think I read almost 15 books just about birth! So even though this list seems long, know that it is much pared down from what I actually read, and I've only included here the books and websites that I found the most helpful. There are a lot of decisions to make surrounding birth and babies, and there is freedom for each of us to make the decisions that we feel are best for our babies and our families. I believe that all parents should have access to the resources necessary to make the most informed decisions possible. Your informed decisions may be different than mine, and that is okay with me. -Loved it. Don't even bother with What to Expect When You're Expecting. Get this instead. -If you can only read one book about birth, let it be this one. A must read. She details every decision you may have to make about birth and gives the pros and cons of each. She is very fair and balanced, maybe leaning slightly toward natural birth, but I may have read that into the text because I personally lean toward natural birth, I'm not sure. No matter what kind of birth you are planning or where you are planning on having it, this is a great resource for everyone. -The first half of this book is all very inspiring birth stories, and the second half is the nitty-gritty of childbirth. Ina May is an experienced midwife who runs a birth center in Tennessee, and she is to natural birth what Billy Graham is to Evangelicalism. This book is very empowering and leaves you with an, "I can do it!" attitude. 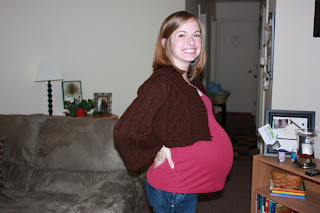 -Basic and thorough look at all of the aspects of birth and what to expect. -This is a great documentary about birth in America, and it also follows Abby through her first pregnancy and birth. We watched it before I was even pregnant and really enjoyed it. -We took a Bradley class from a woman in Louisville who later went on to become our doula and good friend. The classes are once a week for 12 weeks, which is a lot, but it was so worth it. 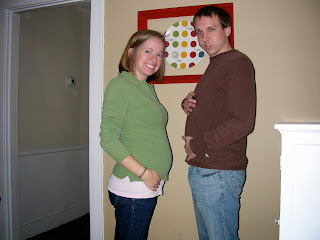 It helped us both be more prepared for birth, especially Josh. On the Bradley website, you can search for teachers in your area. 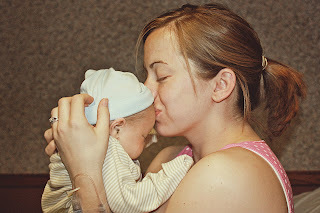 Speaking of our doula, I cannot recommend getting a doula highly enough! -This is a very thorough article about what doulas are and aren't, as well as lots of research and evidence for why you want to hire one. 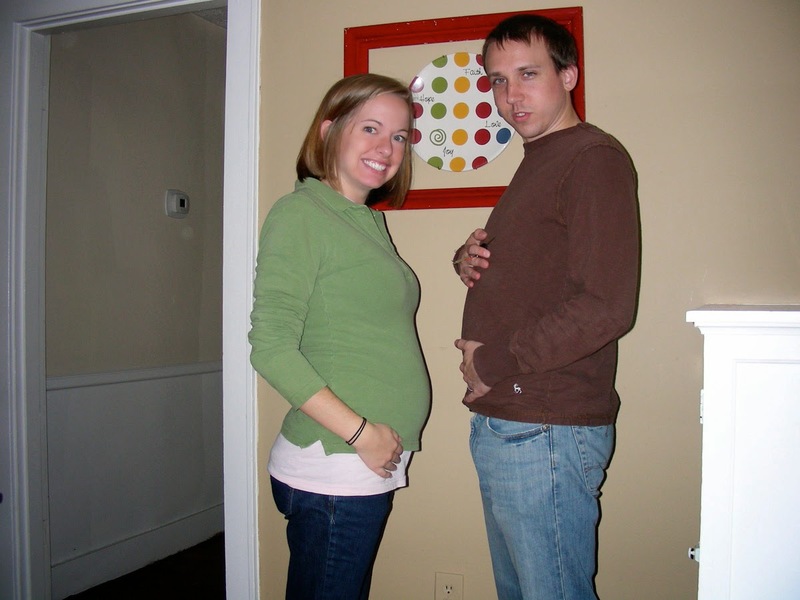 -Lest you think that your super supportive husband will be all you need, this childbirth educator gives you 4 good reasons why doulas are helpful for dads, too. -Great book that will really prepare him to help you through the birth. Josh was very scared of the whole thing before reading this book, but afterwards he was empowered and confident. -I didn't personally read this one, but it's the gold-standard of breastfeeding books. -We referenced this book so many times the first few months. It was an invaluable resource to have on hand. -Great website about breastfeeding, started by an International Board Certified Lactation Consultant (IBCLC). There are lots of FAQs about nutrition, nighttime parenting, starting solids, and more. The thing I referenced most on this website is the "Is This Safe While Breastfeeding?" page. Any time I thought about taking a medicine or herbal remedy, I checked out this list first. -Helpful and comprehensive intro to breastfeeding all on one page. -He goes through each vaccine-preventable disease and what is in each shot, why some parents may have concerns with some of the ingredients, and what he recommends. It is pro-vaccine in that he ultimately recommends all of the shots, but on a delayed schedule. If you do decide to vaccinate, he gives a good delayed schedule to use. -She does a similar thing as Dr. Sears, but has different recommendations. She also gives ways to stay healthy and keep your immune system strong, as well as how to treat the diseases if your child does contract one. I really, really liked this book, and if you only have time to read one book about vaccines, I strongly recommend that it be this one. When we were looking for resources to help us make the decision about vaccines (or perhaps I should say "decisions," as each vaccine is an individual decision), we wanted books that contained information about the specific diseases and shots, and also gave as unbiased of a view as possible. Dr. Sears's book is probably the least biased of all the pro-vaccine books, and Romm's book is probably the least biased of all the anti-vaccine books. I think these two books together make for a very balanced examination of the vaccine issue. -This is a fairly new book that I have just loved. It's two mothers' stories about how they found freedom in learning to trust the Holy Spirit and their God-given intuition with parenting their babies, instead of trusting in the self-proclaimed experts and in their own ability to be super moms. This book is a must-read for every Christian mom, no matter how old your "baby" is or if you are having your first baby or your fifteenth. -I wish we'd found this book when Jude was smaller, I think it could have saved us a lot of sleep. She recommends very gentle ways to help everyone in the family get the best night's sleep possible, and I like her style because it's not, "here's what you should do and if you don't do what I say, then you're going to ruin your baby," but it's very, "here are several suggestions, you pick the things that are the best for your family." -Another invaluable resource for us the first few months. I feel like we went running to this book multiple times a day trying to figure out if what was happening was normal or what to do in certain situations. Dr. Sears is very much like Elizabeth Pantley in his "here are several suggestions, you pick the things that are the best for your family" approach, which is part of why we have really enjoyed everything we've read of his. -Stephanie takes an approach to the decisions you'll need to make for your newborn that is similar to the vaccine books. For each decision, she discusses why you might want this, and why you might want to opt out. This is a great summary of the barrage of important decisions you'll be met with in baby's first days, and these will be decided for you by hospital staff if you haven't made an informed decision beforehand. When Jude was little, we had a soft structured carrier that was handmade by a work at home mom who has since stopped making carriers. I wore Jude in it EVERYWHERE (less so as he got bigger, but Josh still wore him a LOT on our vacation to Greece when he was 1.5 years old) and it was so great to be able to carry him and still have our hands free. For Man Cub, we bought a Tula and we are loving it. -This is an online friend of mine who sells a big selection of name-brand carriers. All proceeds from her sales go toward her family's upcoming adoption, so you can know that your purchase is benefitting a real family and not just some big corporation. 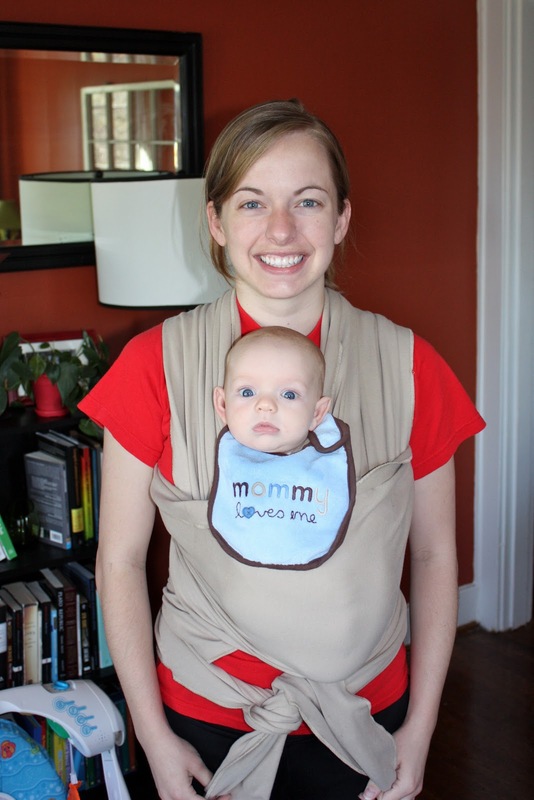 She also has a lot of info about choosing a carrier, instructional videos for how to use them, as well as a few other things like cloth diapers, nursing bras, and nursing necklaces. I used a Moby Wrap with Jude when he was tiny and it was great. Ring slings are popular, but I got mine when Jude was really too heavy to carry around much, so I can't say a lot about those from personal experience. I got my backpack carrier when Jude was about 4 or 5 months old and I don't think you would really want to use one much sooner than that. 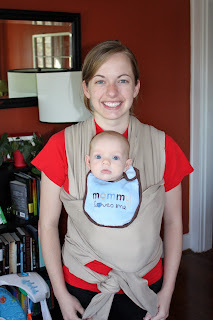 With Man Cub, we used a Baby K'Tan, which is similar to a Moby Wrap, but easier to tie. We honestly didn't use it that much, because it was so thick and cumbersome. We got the Tula when Man Cub was only a couple of weeks old, and used it right away with a baby blanket rolled up under his bum. We used all BumGenius 3.0 One-Size pocket diapers with Jude and were very happy with them. They are very easy to use, just like disposables but made out of cloth! They are expensive in the beginning, but after 4 months of use, you break even compared to what you would be spending on disposables, and after that you're just saving money every day. With Man Cub, we are mostly using Flip diapers, a 2-in-1 system where you lay the insert in the cover. I found myself really tired of stuffing and unstuffing the pocket diapers, and searched for something different this time around. So far we are really happy with the Flips. I tried a few other brands of 2-in-1 diapers, but settled on the Flips primarily because I feel like the stretchy tabs and two rows of snaps gave the best fit. -This is a good introduction to the different kinds of cloth diapers available, complete with pictures. I do have to argue with her though, that one-size pocket diapers even out to be just as economical as prefolds and covers, because you have to buy new sizes of prefolds and covers as your baby grows, but one-size diapers are a one-time investment. -This is where I bought our diapers. They have an abundance of helpful information under the "New to Cloth?" and "Resources" tabs, and they regularly have sales and free shipping promotions. They also have a program where you can try cloth diapers for 21 days for only $10. I did this and was really glad I did. This website has a LOT more than just cloth diapers, too.